Locations: rural Missouri and Illinois. Diverging Clear Productions has been releasing an interesting variety. of old and new train videos. Recent steam train operations are one of the subjects they issue. A company that is on the upswing. Newly upgraded equipment in just about everything. This should be a noticeable improvement for trainwatchers. Just having received their latest show, let’s have a look. 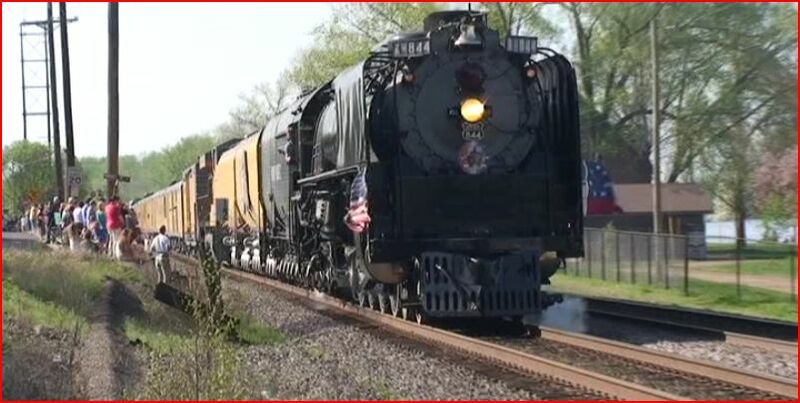 Union Pacific 844 is one famous steam locomotive. 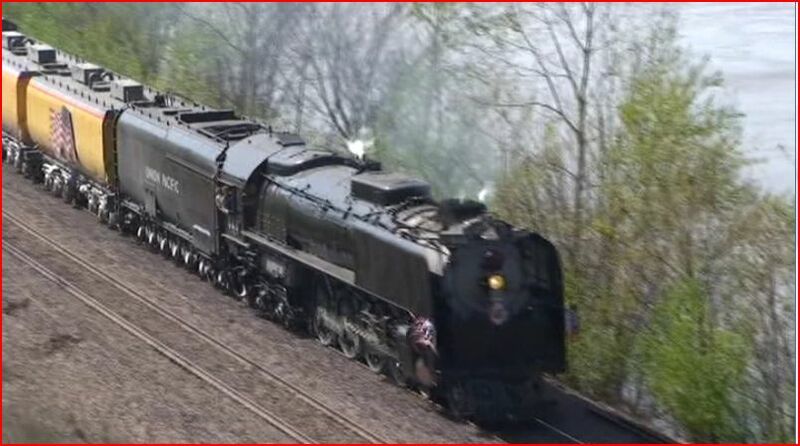 The 1944 built Alco is a king sized example of late American steam power. 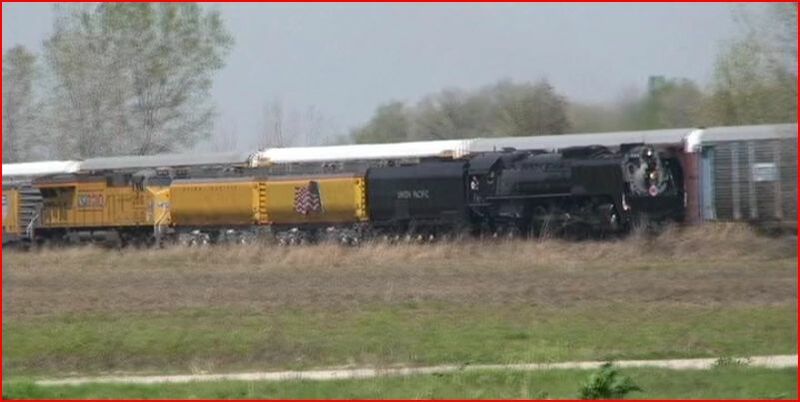 In fact, it was the last steamer constructed for Union Pacific Railroad. Lucky for us, the UP has an active program for the old classics. March 27 and 28, 2012 are the dates of this special. The event was to haul people who would reenact a major battle of The Civil War. 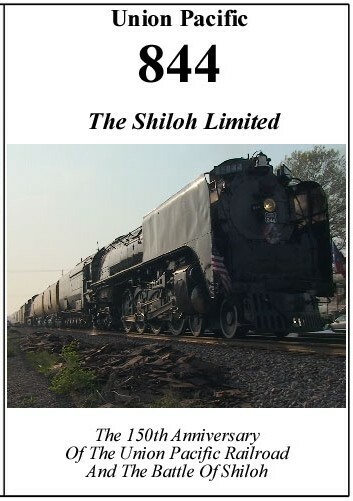 Operating in Missouri and Illinois, the train was headed for Shiloh. The UP also commemorates it’s own 150th birthday. The backstory begins in 1862. 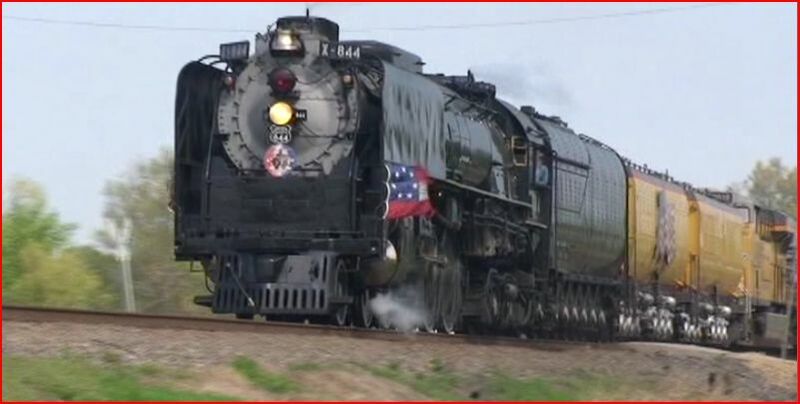 The Battle of Shiloh and President Lincoln’s involvement in the Pacific Railroad bill are tied to this celebration. Nicely done introduction. Onlookers are everywhere. 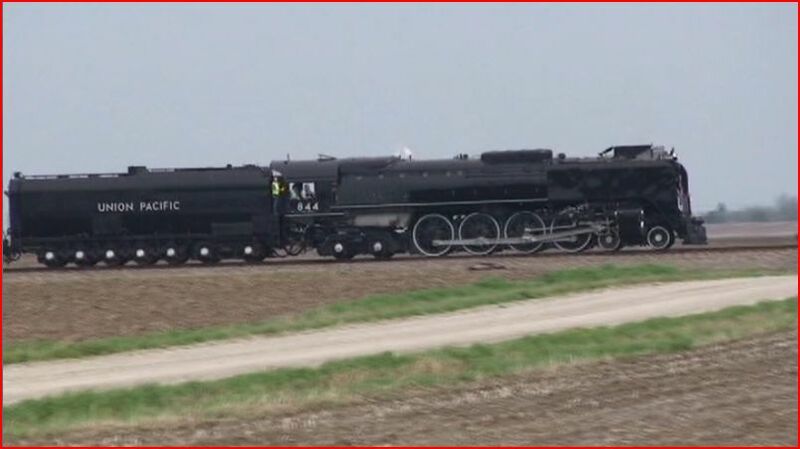 The 844 is a memorable sight. 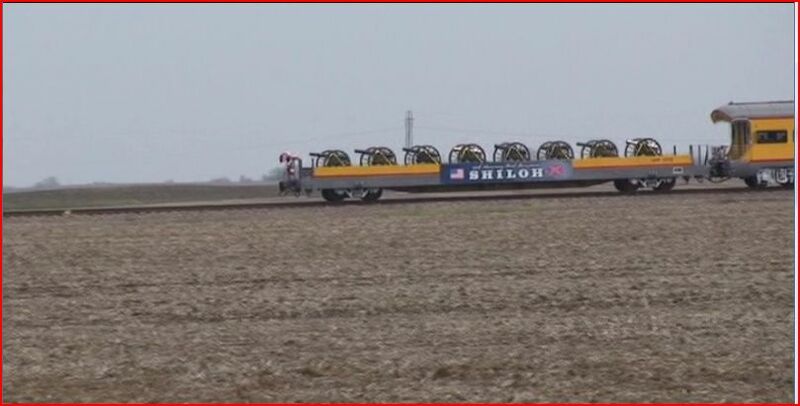 This show begins east of Kansas City with the train en-route to St. Louis. Malta Bend, MO. is a brief service stop for the train. Local school children are on hand to witness the train, up close. Windy weather bangs on the microphone, as we leave town. Mary does a fine narrative. A map on the rear of the DVD case is very useful when she calls out the locations. Viewers can reference the map as the train proceeds along the route. A good balance of narration and live train sounds combine for fun viewing. 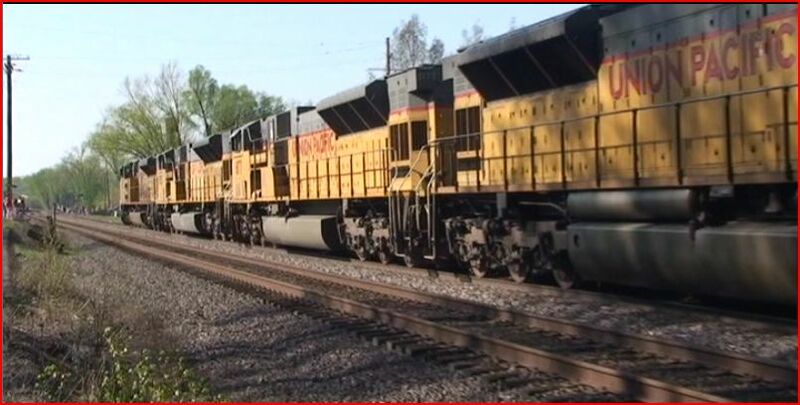 Naturally, the excursion encounters some UP and BNSF freight trains. More than a few of these are included within the program. Alongside the Missouri River, at Herman. The cinematography is excellent to very good overall. Brisk winds seemed to have kicked a bunch of dust into the atmosphere on day one. Composition, colors and audio are all well done. The soundtrack is very clear. There are some extraneous environmental sounds. The singing birds add character in spots. 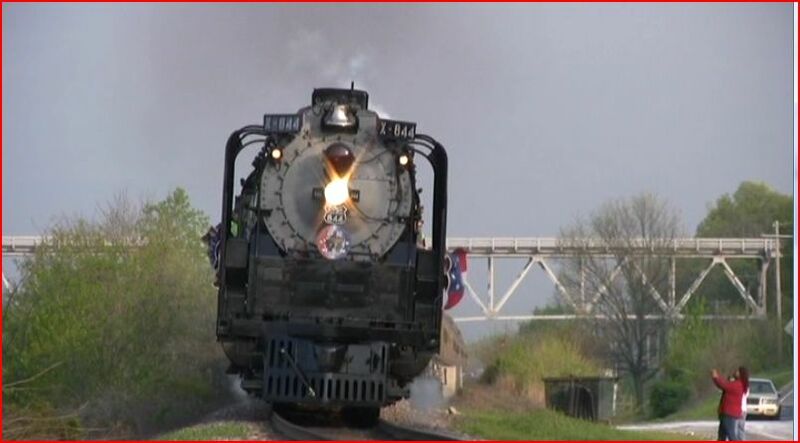 When 844 approaches… she is a loud engine! UP 844 is in fine fashion on this show. The GE diesel seems to be doing most of the work, powering the train. There is the desire to arrive at Shiloh. It is like jumping into the middle of a good story, reading a few good chapters and……. A conclusion is expected. On the other hand, the chase is the story. That being said, and understanding limited time and resources are real life factors. DCP has a good show, to watch the big Northern operating in 2012 . Steam fans will find this an enjoyable chase. A nice program, that the whole family will find entertaining. 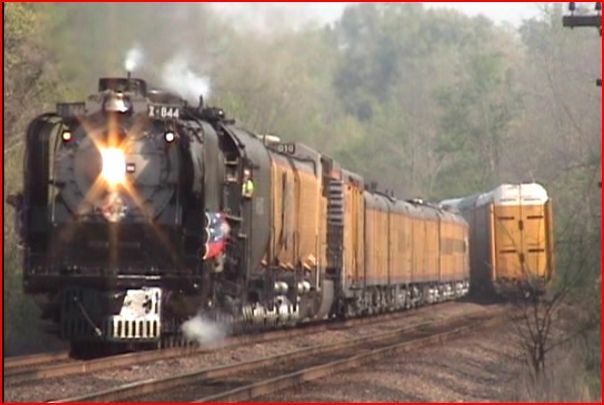 This entry was posted in ATVR Reviews, Diverging Clear Productions and tagged American Train Video Reviews, new releases, steam train, Train DVD, Union Pacific by William J. Hudson. Bookmark the permalink.